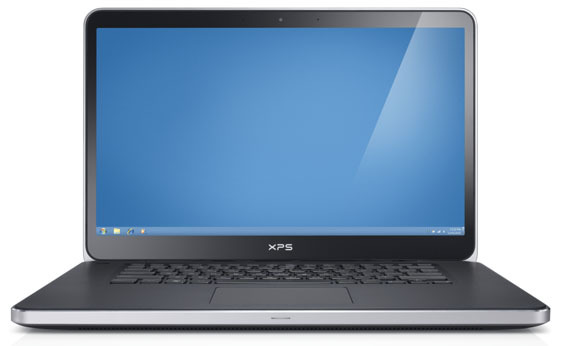 The Dell XPS 15 laptop for 2012 wears L521X model name. The XPS 15 L521X 0.91-inch thin aluminum notebook with a 15.6-inch screen competes against the HP Envy 6, MacBook Pro 15, and other thin and stylish laptops. It comes with the 3rd Generation Intel Core processors. The offered Ivy Bridge CPUs include the dual-core i5-3210M and quad-core i7-3612QM, with Passmark scores of 3,654 and 7,927 points, respectively. Graphics is displayed on a 15.6″ 1080p 350-nit display with edge-to-edge Gorilla glass, with help of Nvidia’s GT 630M or 640M dedicated video cards. The notebook has up to 1TB of traditional HDD storage and up to 16GB of RAM. The specs reveal that the laptop is offered with additional miniCard SSD with 32 – 128GB capacity for faster system boot ups and resumes, as well as a built-in DVD burner or Blu-ray combo drive. The battery used in the 2012 XPS 15 is a nine-cell 65WHr unit instead of a usual six-cell one, and the notebook also has optionally built-in Trusted Platform Module. Regarding design, the Dell XPS 15 L521X is mostly covered with silver machined aluminum. It’s curiosity that silicon is used for the base of the notebook in order to provide a cooler operation. The soft-touch paint-topped palm rests are made of magnesium and the keyboard has black chiclet keys with backlight. The keyboard is spill-resistant, which is a plus and not so common on entertainment notebooks, and it’s accompanied by a glass touchpad with no physical click buttons. Since it’s multimedia oriented, one would expect the L521X to have a premium sound system, but it comes with 2 x 2W stereo speakers only, with no subwoofer. However, Waves MaxxAudio 4 technology is there to enhance the sound. The prices start at $1,300. The whole Dell XPS laptop line is oriented toward entertainment and multimedia use. The current generation of 15.6″ XPS notebooks include the standard-sized L502x and the XPS 15z with a 0.97″ thin profile. 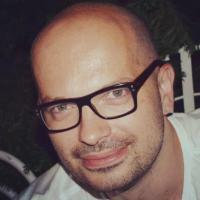 On Laptoping, Danijel writes about Windows-based laptop, 2-in-1, and tablet PCs. Laptoping is a website about laptop computing. The site is focused on laptops with Windows operating system, also known as laptop PCs. It's made simple. Laptoping is a participant in the Amazon Services LLC Associates Program, an affiliate advertising program designed to provide a means for sites to earn advertising fees by advertising and linking to amazon.com. This website is also a participant in other affiliate and advertising programs.